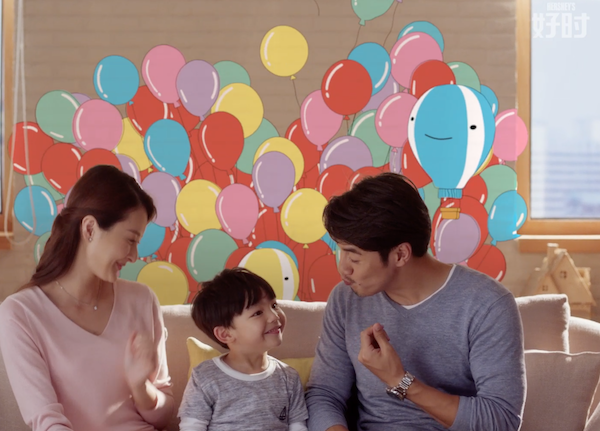 Hershey’s teamed up with director Wang Limin, agency Anomaly Shanghai, production company The Eye and MPC Shanghai for two playful spots mixing animation with live action. 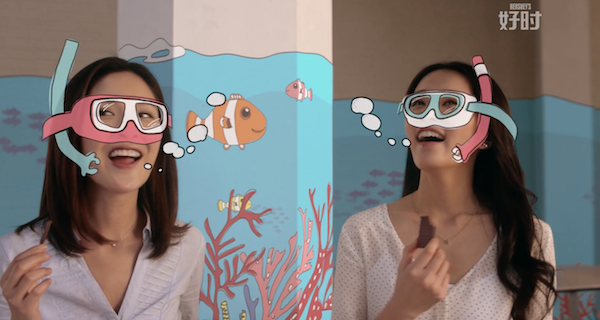 “It was a really interesting idea, to turn the taste of Hershey’s into a visual experience, showing people’s feelings and imagination”, explains director Wang Limin. The creative decision to use illustration and CG alongside live footage required the production to be executed in specific stages. The whole team worked together to agree on a look based on Anomaly creative Mars’ design for the earlier print ads. Using those as reference, Mars and artist Olivier Wyart then illustrated new assets for the film. The shoot took two days, with tracking points set as reference in preparation for the animation blocking. The actors needed to interact with non-existent cartoon elements. “Shooting with live action and animation requires a lot of imagination. 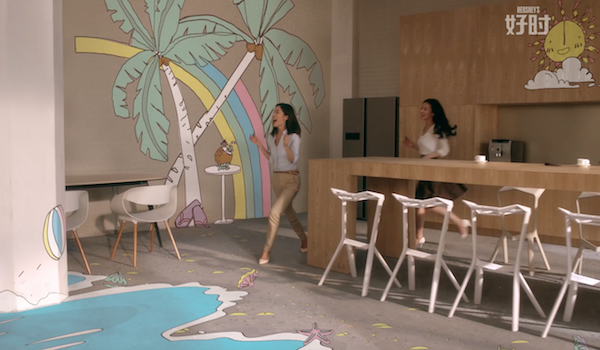 It’s difficult for the actors to imagine they are at the beach with dolphins playing and waves hitting the sand,” explains The Eye producer Chien Tzuhui. 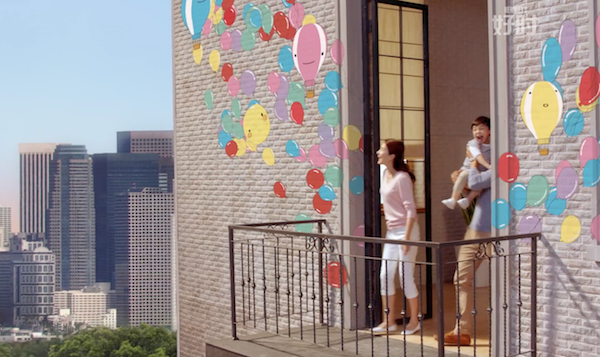 MPC Shanghai’s animators then took the illustrated elements and worked closely with the compositing artists to place them over the 3D set geometry. Once they were set and working within the frame, the elements were handed to MPC VFX Supervisor Barry Greaves to comp and grade together with the clients. Wang Limin valued the contribution, “MPC did a great deal of work in the animation stage, and added lots of fun details into my vision”. The entire animation process took about six weeks.